DB Export’s presence was fading in the age of healthier lifestyles and craft beers. Here’s how a beer brand broke back into relevance by turning a brewing by-product into biofuel. 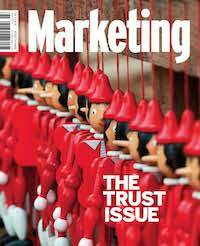 This article originally appeared in The Trust Issue, our June/July 2018 issue of Marketing magazine. Beer consumption is in steep decline globally – nowhere more so than in New Zealand. Over the past decade, society’s ‘carefree fun’ perception of beer has shifted, making it harder for people to justify going for a drink. The trend towards healthier lifestyles and the lowering of drink drive limits have also contributed to New Zealanders drinking less beer than ever before. The decline in the mainstream sub category has been even greater than for the overall beer market – a big problem for DB Export and its range of mainstream beers: Gold, Dry, Citrus and 33. The brief: to develop a brand-focused, TV-led, campaign for DB Export that would not only halt decline, but actually drive the brand back into growth. In order to achieve that, we were set the challenging objective; to reverse the decline of the brand and propel it back into growth; to grow the total sales of the Export family by 5% in a category declining by 6%. The objective was simply unachievable with a traditional approach, given the current state of the beer market. We needed to attract new drinkers into the mainstream category and encourage existing drinkers to favour DB Export more. We needed to think outside the bottle. Mainstream beer has an image issue. In light of the explosion of craft and ‘premium’ beers that have become available, mainstream beers like DB Export simply aren’t an attractive option anymore. We needed to change people’s perceptions. To develop our strategy, we knew we needed to talk about DB Export in a unique way. So, we went back to the origins of the brand. DB Breweries was founded by a man named Morton Coutts. An ideas man. At age 15, he was running DB Breweries and would soon invent continuous fermentation – the revolutionary brewing technique still used by Heineken today. By the time he died in 2001, he held 14 patents. Coutts believed the best think-tank in the world was a bunch of mates drinking beer, but he also understood that a great beer idea was worthless until it was done. Made By Doing was inspired by a Conscious Capitalism Approach (CCA). This is a behavioural economics approach with a triple bottom line model – people, planet, profit. But Made by Doing is more than just a CCA approach; it’s a way to drive business results by doing good in the world through action. With our new purpose, we knew we needed to be careful about appearing too worthy. After all, we’re still a beer brand. This led to the development of a simple, yet bold, call to action – drink DB Export and save the entire world. This thought created a fun permissibility around beer drinking. It allowed NZ men to feel good about themselves for choosing DB. We created DB Export Brewtroleum, a biofuel made from the yeast left over after we finished brewing beer. Not quite a TV ad… At the end of the brewing process, ethanol is left in the yeast slurry. 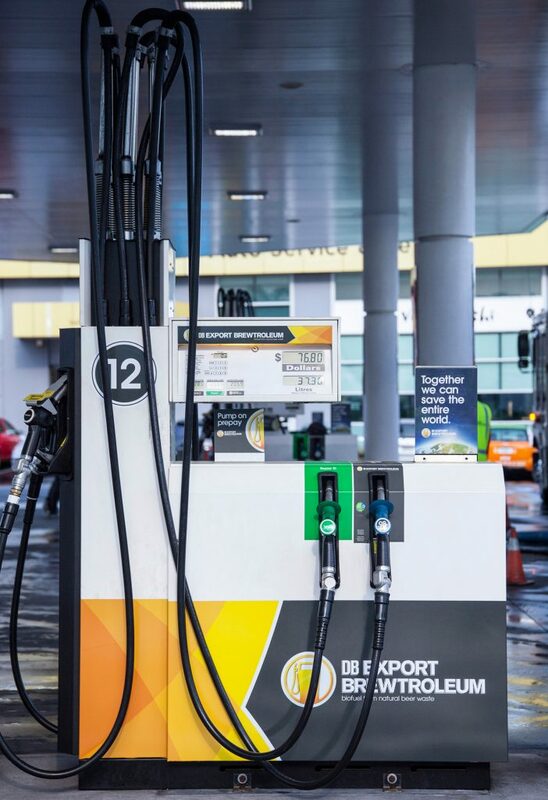 We extracted this high-grade ethanol and blended it with 98 Octane petroleum to make a clean burning and sustainable biofuel that could power any petrol car. Our supply relied entirely on Kiwis drinking our beer. The more beer they drank, the more environmentally friendly biofuel was produced and the better off the planet would be. 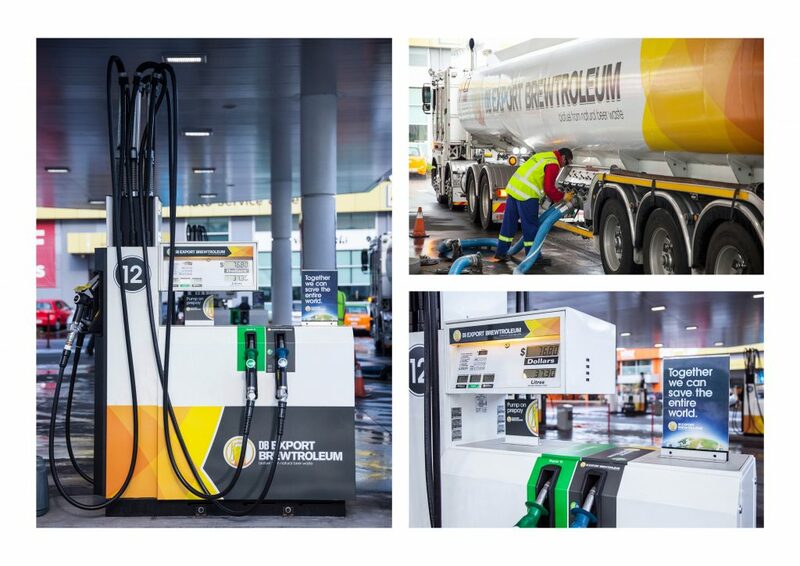 We partnered with New Zealand’s leading biofuels retailer, Gull, and launched with our hero site – a completely rebranded Gull petrol station in the middle of Auckland, New Zealand’s largest city. Promoting this location with radio partnerships, we experienced kilometre-long queues down the street on our first day. But this wasn’t just a single site PR stunt. 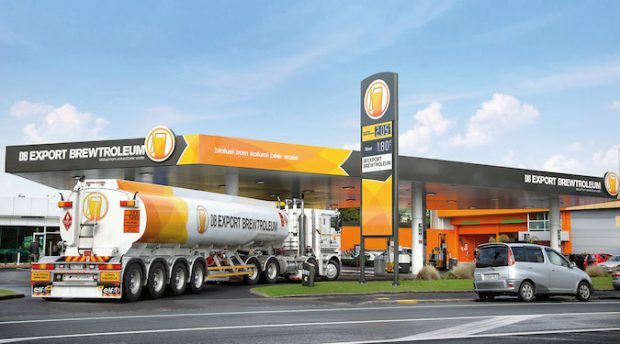 DB Export Brewtroleum rolled out to every single Gull petrol station across New Zealand – turning all of their forecourts into ambient advertising for us – with a through the line campaign (TV, social, digital, outdoor, sampling and even a fully branded petrol tanker that travelled the country) supporting it and calling on men to drink more DB Export. At the heart of our campaign was a great idea – turning a waste by-product of brewing into biofuel. But that alone would be no good if men all over the country didn’t get to see it for themselves. A paid, owned and earned media approach was employed, working to get men talking about our brand and giving them an excuse to drink more beer by getting actively involved in our ‘save the world’ movement. Saving the world by drinking beer was all the permission drinkers needed to drink more DB Export. The campaign not only exceeded sales and brand objectives, but the way the idea was embraced and celebrated exceeded both the agency’s and the client’s expectations. Our first two batches of Brewtroleum turned 116,000 tonnes of yeast slurry, from the DB Export brewing process, into 330,000 litres of Brewtroleum and prevented 75,000 kilograms of carbon from entering the atmosphere, meeting one of Heineken Global’s most important areas for improved sustainability: reducing carbon dioxide emissions. DB Export Brewtroleum changed the perception of drinking beer – from a selfish indulgence into a selfless act of environmental heroism. Brewtroleum surpassed sales targets. During the campaign for Brewtroleum, DB Export family sales rose by 11% compared to the same period the previous year. 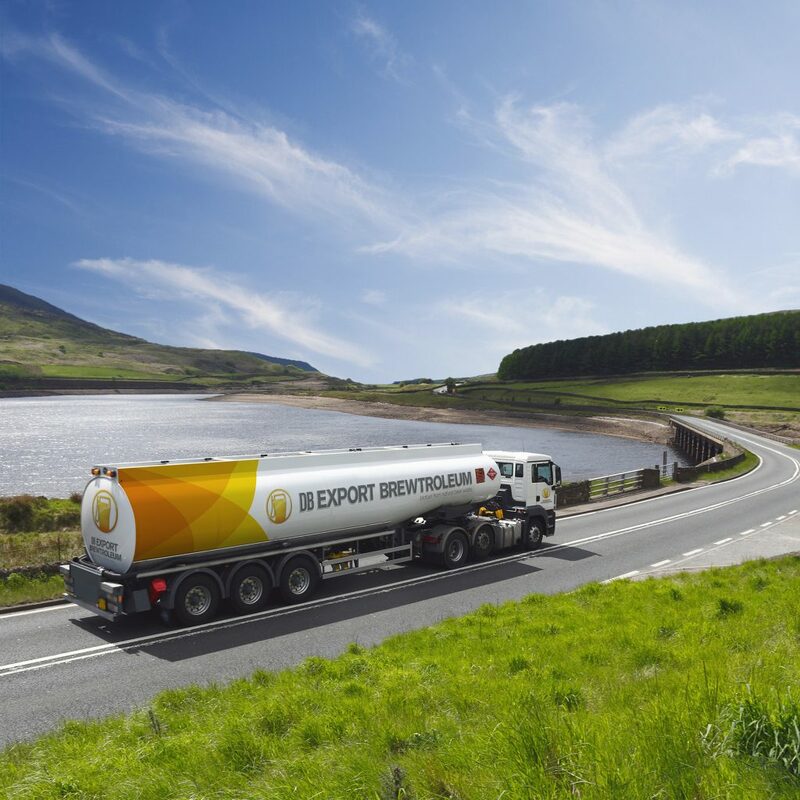 This 11% growth equated to $3,930,817 of incremental revenue across the second half of 2015, and DB Export maintained sales at this level in 2016 – evidence that the effect of the Brewtroleum campaign has been strong and sustained. Brewtroleum didn’t just resonate with beer drinkers; it was an environmental initiative that was embraced by the entire DB business. With the production process mastered, it has become instantly scalable. With the infrastructure in place at the brewery, the production of Brewtroleum continued after the initial advertising component of the campaign finished. A second batch of Brewtroleum was completed in May 2016, a third batch at the end of 2017, and a fourth batch is en route. Brewtroleum successfully launched DB Export’s platform ‘Made By Doing,’ but, more importantly, it provided credibility for DB Export to continue looking for innovative ways the business can have a positive and sustained impact on the environment.